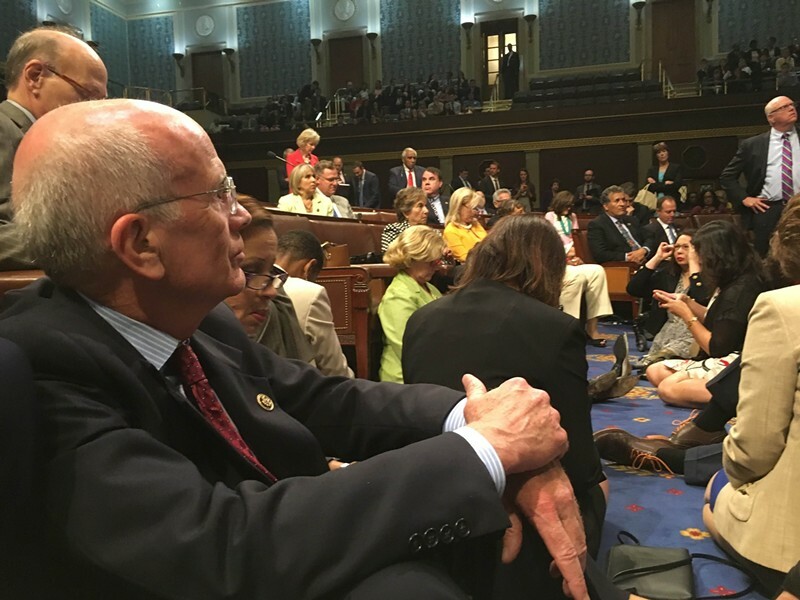 Congressman Peter Welch takes part in a sit-in Wednesday on the House floor. Days after the June 12 mass shooting in Orlando, Fla., Congressman Peter Welch (D-Vt.) walked off the floor of the U.S. House during a moment of silence. "That's something I've never done in my life," he said. "But every moment of silence has been followed by moments of total inaction, and obviously our job is to do something — to have a debate on a bill and pass some common-sense gun legislation." Welch took his protest a step further Wednesday, joining a highly unusual sit-in on the House floor to demand a vote on gun-control legislation. 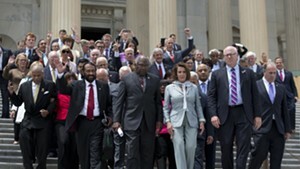 Democratic lawmakers interrupted the chamber's proceedings that morning and vowed to remain in the well of the House until Republican leaders scheduled a vote. "It's been a spontaneous avalanche of support among our colleagues," Welch said Wednesday afternoon during a phone interview from the House cloakroom. "Members feel good that finally we're doing something to indicate clearly and explicitly with our actions that we want action, we want to do our job, we want to vote." Welch wasn't the only Vermonter to take a seat on the House floor. Shortly after 2 p.m., Sen. Patrick Leahy (D-Vt.) accompanied Rep. John Lewis (D-Ga.) — an icon of the civil rights movement and a ringleader of the sit-in — to the floor. The senator remained for roughly 20 minutes, according to spokesman David Carle. "There is frustration, but there is also great determination," Carle quoted his boss as saying. Around 4:30 p.m., Sen. Bernie Sanders (I-Vt.) made an appearance on the floor, drawing a rousing ovation from House Democrats. 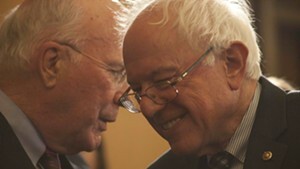 Welch said he took part in a meeting Tuesday afternoon in Congresswoman Katherine Clark's (D-Mass.) office, during which the prospect of a sit-in was raised. He missed the beginning of the event Wednesday morning, he said, because he was taking part in a hearing on unrelated legislation he had sponsored. Welch said he did not know how long the protest would last, nor how long he would participate in it, calling it an "evolving" situation. House Democrats were hoping to force votes on two bills: one that would bar those on a terror watch list from buying firearms and another that would require background checks before all gun sales. "They've got bipartisan support, and they're just so elemental. I mean, how we wouldn't pass these mystifies me," Welch said.